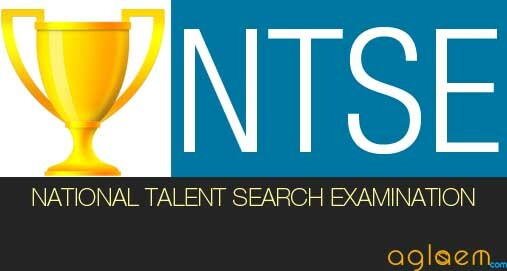 State Level National Talent Search Exam (NTSE) is conducted for only class 10 students. Under this scheme selection of candidates for scholarship is a two tier process. 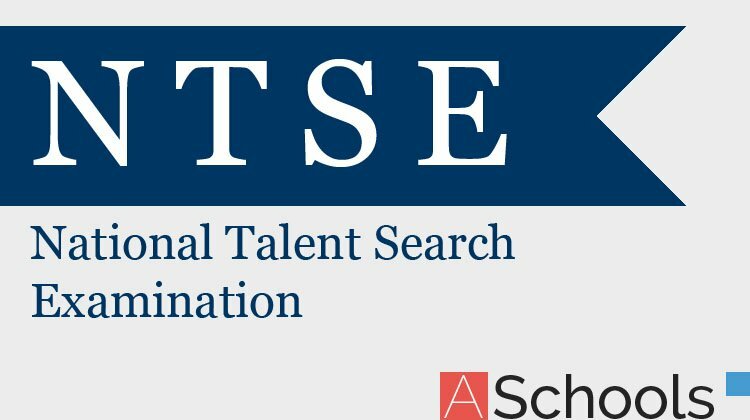 First tier of NTSE exam is conducted by states and union territories for screening and known as State Level Talent Search Examination. Each State and Union Territory was to select and recommend a stipulated number (as per state quota) of candidates for the national level examination to be conducted for about 3000 candidates by the NCERT. NTSE Stage I follows the national pattern which comprised MAT and SAT. The MAT, which consisted of 100 multiple choice type questions. The SAT consisted of 100 questions containing multiple choice type questions from Physics, Chemistry, Biology, Maths, History, Geography, Political Science and Economics. Vidyalaya, Navodaya Vidyalaya, and Sainik School etc. are eligible to appear at the State Level Examination from the State in which the school is located. The state may impose any other eligibility condition for appearing in the screening examination like any qualifying percentage of marks in the previous annual examination etc. Students registered under Open and Distance Learning (ODL) are also eligible for scholarship. Attempts: Students should be appearing in class X for the first time. The students studying in Class X in the country ought to be on the lookout for any advertisement in the newspapers or circulars in the school by the respective Government of their State / UT. signed by the Principal of the school before the due date. 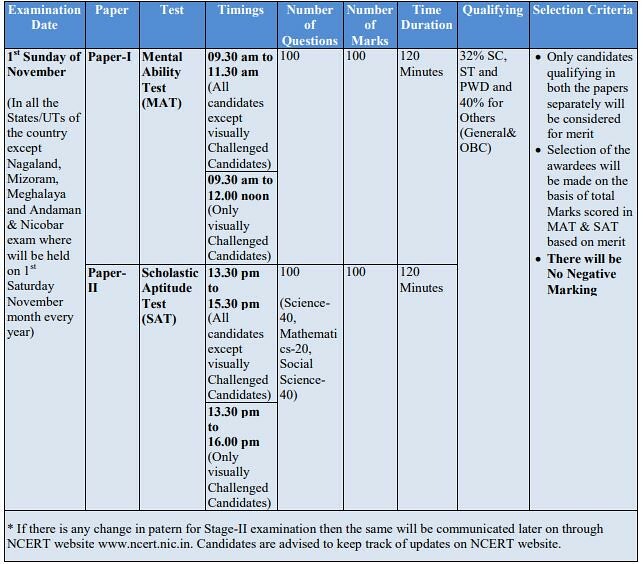 second level test to be conducted by the NCERT. minimum qualifying marks in both the tests separately. These marks are 40 per cent in the case of General and OBC category candidates and 32 per cent in the case of SC / ST / physically challenged candidates. the candidates for second level NTS examination conducted by the NCERT. The marks of the State level Examination are not added to the National Level Examination for award of scholarship.